Small-Business Access To Online Health Exchanges Delayed Again : Shots - Health News No online registration for you, the Obama administration told small-business owners interested in using the Affordable Care Act exchanges to buy employee health insurance. Online access was pushed back to November 2014. Employers can still enroll through an insurer or broker. The Obama administration is delaying yet again online signup for small businesses through the Affordable Care Act. The program was intended to make it easier for small employers to provide health insurance to their workers on a more equal footing with big business. Employers with 50 or fewer workers were supposed to be able to participate in something called the SHOP marketplace, for Small Business Health Options. 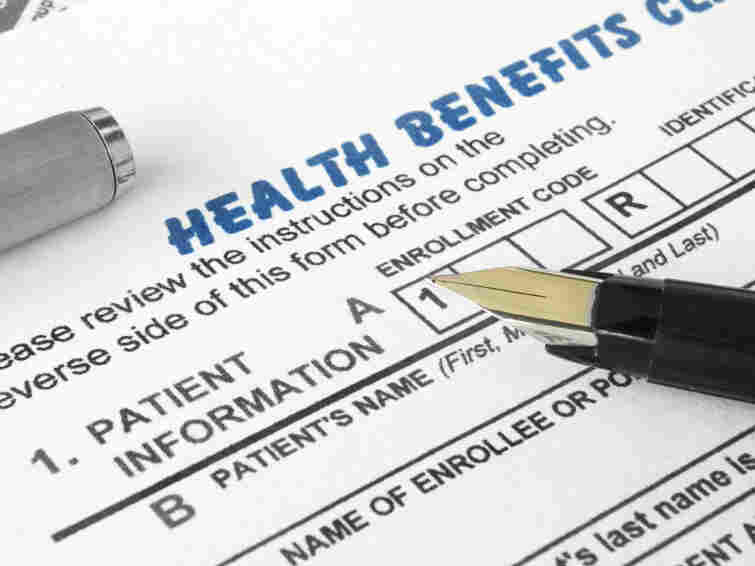 The marketplace offers plans that meet the health law's standards and would let some businesses qualify for tax credits. But the online part of the SHOP exchange has not yet been available, at least in the 36 states where the federal government is running the program. And now, says the government, it won't be working until November 2014. It's the second major delay for the SHOP program. In April, the administration delayed the ability of workers in small businesses to choose from among more than one plan. In a conference call with reporters, Center for Medicare and Medicaid Services spokeswoman Julie Bataille was frank in saying that getting the SHOP program online was less important than getting the HealthCare.gov website working for individuals. "It was important for us to prioritize the functionality that would enable consumers and individuals to shop and enroll online in coverage," she said. "Those are the things we put in place Oct. 1 that we have continued to make sure we work on to improve the capacity and functionality to do that work, and it was important for us to continue doing that." Instead, for now, small businesses that want to enroll in SHOP plans must go directly to an insurer, or to an insurance agent or broker, and fill out a paper application. Next year, when online enrollment is up and running, both employers and their employees should be able to enroll in a full array of plans through HealthCare.gov. Small-business groups reacted with disappointment, flavored by politics. "While we're disappointed that the ability to enroll online on the HealthCare.gov website has been pushed back for small employers, starting in December HealthCare.gov will offer small businesses a better comparison shopping experience," said a statement from the small-business group the Main Street Alliance. "Most importantly, today's announcement allowing direct enrollment ensures that small businesses will be able to access the benefits of the Affordable Care Act in 2014, including expanded health care tax credits." The more politically conservative National Federation of Independent Business was less charitable, calling the announcement "a disappointment but not a surprise. Small businesses continue to be low on the priority list during the Obamacare implementation process," the statement continues. "It probably matters little to people in Washington that the failure to get the small business exchanges online adds yet another onerous paperwork requirement for job creators."